Donald Trump Jr. and his wife, Vanessa, are separating after 12 years of marriage, they announced Thursday. The New York Post's Page Six reported Thursday that Vanessa Trump had filed for divorce. "After 12 years of marriage, we have decided to go our separate ways," the two said in a joint statement provided to CBS News. "We will always have tremendous respect for each other and our families. We have five beautiful children together and they remain our top priority. We ask for your privacy during this time." The two, both 40, were married in 2005. According to The New York Times, they were introduced by his father at a fashion show. President Trump's eldest son has become a key advocate for his father since the early days of the campaign, particularly on social media, even as he helps run Mr. Trump's businesses. Vanessa Trump has mostly stayed out of the spotlight. 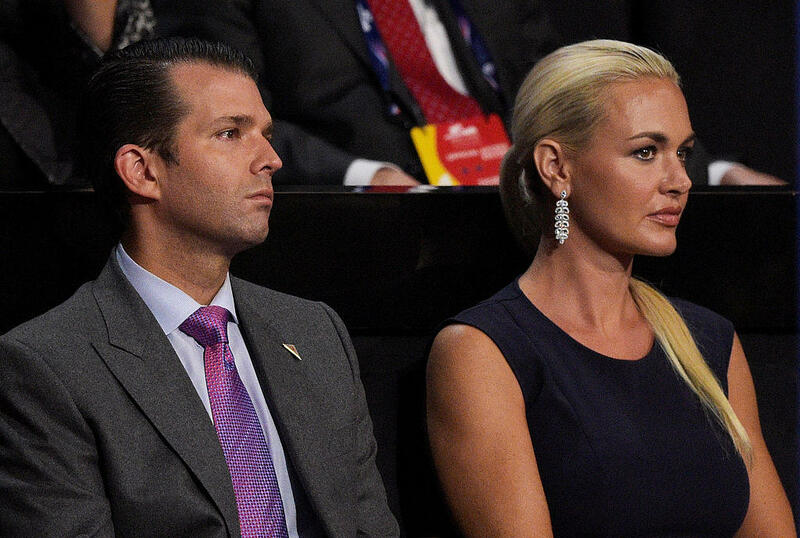 Vanessa Trump was taken to the hospital last month after receiving threatening message with a "susicious substance" in the envelope. The substance was later determined to be corn starch. A Massachusetts man was later arrested in connection to the incident.